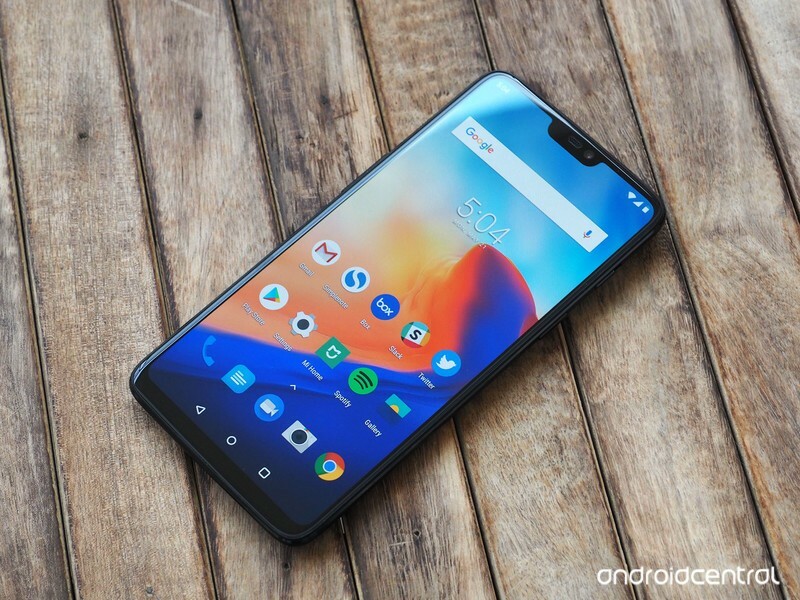 This is a fantastic phone with top-notch software, performance and capabilities — and it happens to be a few hundred bucks cheaper than the competition. OnePlus has been so incredibly consistent in its phone releases, particularly since the OnePlus 2, that you kind of get tired of the storyline. It’s a flagship-level phone, without the flagship-level price. (The “flagship killer” moniker has all but died, thankfully.) We get it now, that base premise in itself no longer makes OnePlus phones interesting. So it has to actually make a phone that stands alone as something good and exciting, not just one that does most of what the competition does at a lower price. I’ve been using the OnePlus 6 for a few weeks now, well after our complete OnePlus 6 review — because on the face of it this looked like yet another OnePlus phone, and I wanted to see whether there was more to it. In many ways, it’s more of the same — the tried-and-true OnePlus system is at play here. But with some strategic upgrades and a little more attention to detail, OnePlus has a winner on its hands. The OnePlus 6 is the first phone from the company since the OnePlus X that isn’t woefully boring looking. The improved design and materials alone are worth the added cost of the OnePlus 6 compared to the 5T, and that’s important — because now that we’ve crested the $500 barrier, people put real weight behind these non-essential aspects of the phone experience. Hold the OnePlus 6 next to any $700+ phone and you won’t find a difference in quality. Nobody would hold the OnePlus 6 next to any $700+ phone and point out hardware shortcomings. I sure can’t find any issues — and better yet, I think it’s really nice. The glass feels modern and expensive, the glossy sides match perfectly, and the whole thing just has a classy ambiance to it. 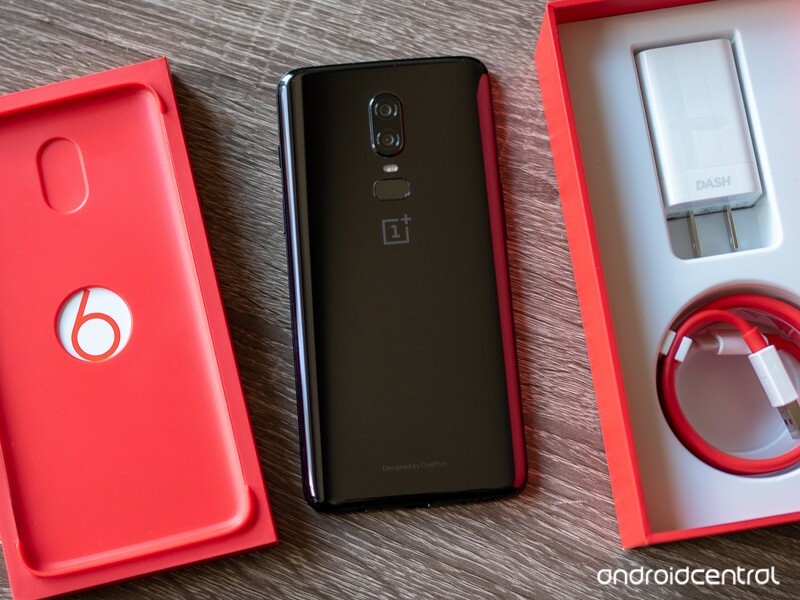 There’s still a whole lot of room for OnePlus to go further and really put its own touch on this, but the “Designed by OnePlus” inscription on the back certainly shows that the company is taking this part more seriously. Even with the fresh look, the OnePlus 6 retained one of my favorite parts of its predecessors: simplicity. OnePlus has stayed away from the hardware gimmicks. It has regular buttons in regular places, and they have great tactile response. There’s a headphone jack. The always-great Alert Slider is right where you want it. No curved screen or unnecessary hardware buttons or squeeze functionality or “features” to get acquainted with. The OnePlus 6’s software, too, is extremely simple. It also happens to offer a fantastic level of performance I can always count on. OxygenOS flies on the OnePlus 6 — but then again, it did on the OnePlus 5. This has just become a tent pole of OnePlus phones, but it doesn’t get old because this isn’t a given even on modern phones with comparable specs to the OnePlus 6. Everything is simple, fast and consistent — it’s all I ask for from a phone. I don’t want extra features and apps and settings, I just want the phone to be a tool for accessing everything I want in my apps and services. The OnePlus 6 delivers, even weeks into my review period, I haven’t had a single hiccup, slowdown or crash. Exceptional software and consistent performance are tent poles of OnePlus phones. I wish OnePlus would’ve made another step up in battery size just on principle, but the OnePlus 6 just doesn’t need more capacity. I never struggled to make it through a day on a charge, and the only thing that ever got me close was a day that included over two hours of GPS- and data-intensive mapping and listening to podcasts in Android Auto. Through weeks of use, I never felt like I needed to curtail my usage of the OnePlus 6 for fear of battery repercussions later on in the day. And that’s all I can really ask for: confidence in the battery. Ahead of the OnePlus 6 announcement, I made it clear that I wasn’t going to give the company a pass on camera performance this time around. With a price bump and even more importance being placed on smartphone cameras, there’s no more room for OnePlus to have a good camera “for the money” — it needed to just have a good camera. And it delivered. I’m still disappointed that OnePlus still isn’t doing anything particularly interesting with its secondary camera, but it got the main camera right this time around. Moving to a larger sensor, adding OIS and running it all through a better ISP in the Snapdragon 845 elevated the OnePlus 6’s camera considerably. The OnePlus 6’s camera is good, really good. In daylight, the shots could pass for those from any top-end phone released in the last year. If you want to nitpick, you can point out it isn’t quite as sharp as some, or that the dynamic range when using HDR isn’t totally amazing. But it’s great, you don’t have anything to worry about in daylight. At night, OnePlus made considerable advancement from the generally weak OnePlus 5 camera. This is up to “above average” level in low-light shots, which places it a rung below the cream of the crop — but that’s an acceptable shortcoming at this point. Things aren’t amazingly sharp in low light, and the white balance can sometimes be off, but these are small problems — most of the time, I liked what I got from the OnePlus 6 in tough shooting conditions. Is the OnePlus 6’s camera is good as the Pixel 2 XL, Galaxy S9+ or Huawei P20? No. But it’s getting close, and that’s more than good enough for this phone. It feels like the only thing separating OnePlus from the aforementioned group is the thousands of hours and dozens of engineers required to get the computational photography part of the recipe just right. That takes time and money (and often patents) that aren’t always easy to come by. But as it stands, the camera is no longer the weak point of the OnePlus phone, and that’s an important step. If the next full generation (OnePlus 7, not 6T) makes the same sort of leap in camera performance, OnePlus will be excruciatingly close to the top competition in cameras. Now this isn’t all just a love-fest. 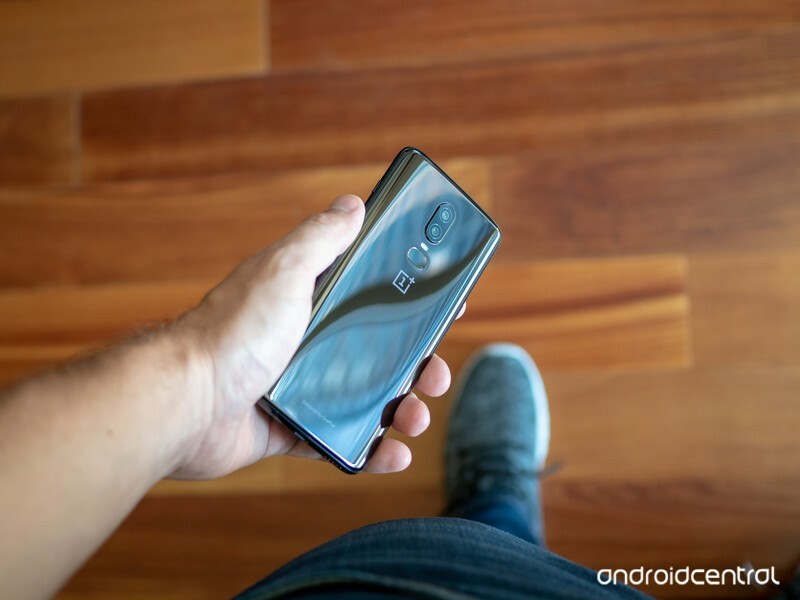 There are still corners that have to be cut (or at least rounded off) at a $529 price, and other areas where OnePlus just hasn’t executed properly. For all of the great components, a few corners had to be cut. Internally, OnePlus spent money on the components it knows will sell phones to its core customers: processor, memory, storage, and battery. I covered the battery part above, but having the big numbers in the other three categories is important — OnePlus can say it has the same, or better, core specs than the more-expensive competition. But that means that it didn’t get to include the “extras” like a fantastic display, advanced speaker system or a full waterproofing rating. The OnePlus 6’s display is good. It’s even above average. But it’s not up to speed with super-bright daylight conditions, nor does it get quite dark enough at night for my eyes. Colors and viewing angles are good, and there isn’t much to complain about here in daily use, but it’s these fringe cases that separate “good” from “great” displays. The speaker is as basic as it gets — no attempt at dual speakers, special audio chambers or specific tuning … and that, too, is disappointing. Every other phone I’ve used in the last year has a better audio system than the OnePlus 6. And finally yes, I know the OnePlus 6 is pretty much waterproof. 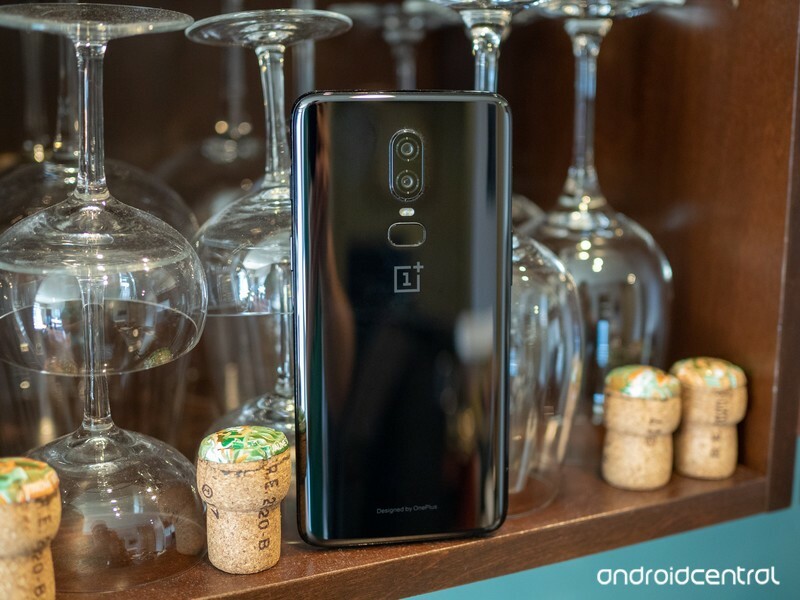 But unless OnePlus is willing to do the proper testing and certification to give it an IPX7 rating on the box, I’m not going to trust it — and that’s something I have to think about on a regular basis. The vibration and haptics are just downright bad — there’s no way around it. 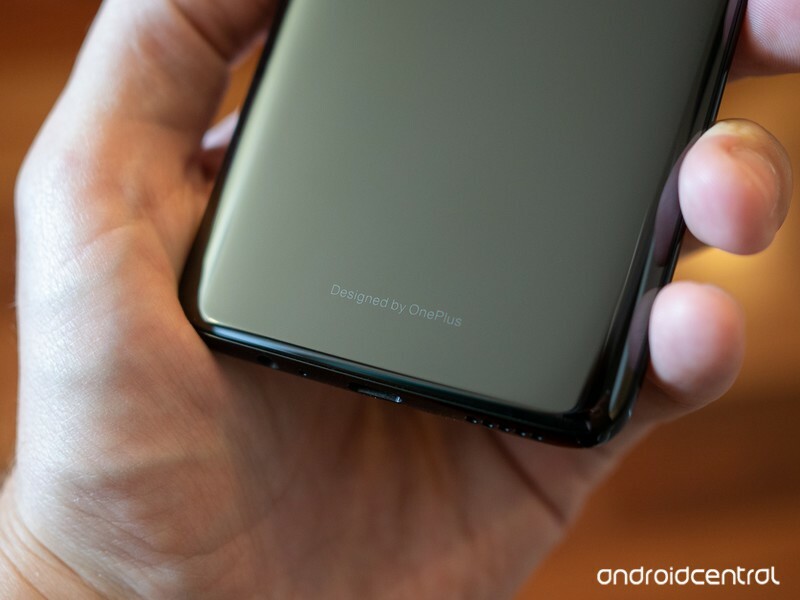 I’ve railed on this before, and (thankfully) I know I’m not alone: the vibration and haptics on the OnePlus 6 are just downright bad. Haptic response is one of those things where you aren’t supposed to notice it — when done well, it just feels right. When it’s done like the OnePlus 6, it’s noticeable and completely detracts from the otherwise fantastic experience of using this phone. Every time the phone vibrates, it’s rattling, loud and shallow-feeling. There are $250 Motorola phones that have a better grasp of vibration motors. An adjustable vibration setting would at least mitigate the issue — but that wouldn’t be able to fix this entirely, it’s a hardware problem. I know it seems pedantic, but I really wish OnePlus would’ve put more thought and development time into the haptics — like the design mentioned above, these are the things people start to care about when the price of the phone goes north of $500. If you’re willing to spend up to $550 on a phone, but not a penny more, the OnePlus 6 is where your search starts and ends. For this kind of money, you just can’t find a better combination of specs, hardware, features, camera, software and performance. It’s a great phone that absolutely nails the basics, but also goes beyond your expectations in many other ways. If your budget caps out at $550, the OnePlus 6 is where your search starts and ends. OnePlus was likely going to keep holding that “best phone for the money” moniker if it simply refreshed the OnePlus 5 again. But with this improved design, better camera and a bit more attention to detail it has also managed to wiggle its way up into being a credible direct competitor to the more expensive competition. Aside from a few minimal issues, the OnePlus 6 faithfully competes with top-end phones from other companies — and at the same time, its software experience and performance matches or outdoes every other phone out there. There are better phones if money is no option. And there are better “values” to be had in less expensive phones that still do much of what the OnePlus 6 does. But in this pricing sweet spot, I see no other competition — this phone is the winner.